The host facility for the world’s deepest offshore oil and gas project is a floating production, storage and offloading (FPSO) vessel. 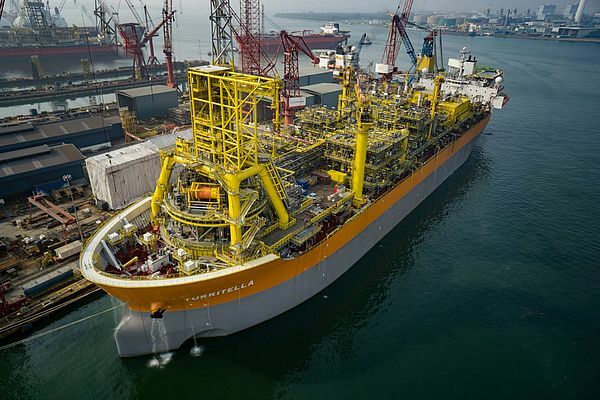 It is the thirteenth FPSO in Shell’s global deep-water portfolio and produces through subsea infrastructure beneath 9,500 feet (2,900 meters) of water. Stones, which is 100% owned and operated by Shell, is the company’s second producing field from the Lower Tertiary geologic frontier in the Gulf of Mexico, following the start-up of Perdido in 2010. It underscores Shell’s long-standing leadership in using FPSOs to safely and responsibly unlock energy resources from deep-water assets around the world. Shell has recently announced that production has started from the Stones development in the Gulf of Mexico. Stones is expected to produce around 50,000 barrels of oil equivalent per day (boe/d) when fully ramped up at the end of 2017. The project demonstrates Shell’s commitment to realizing significant cost savings through innovation. It features a more cost-effective well design, which requires fewer materials and lowers installation costs; this is expected to deliver up to $1 billion reduction in well costs once all the producers are completed. The FPSO is also specially designed to operate safely during storms. In the event of a severe storm or hurricane, it can disconnect and sail away from the field. Once the weather event has passed, the vessel would return and safely resume production. Shell’s global deep water business is a growth priority for the company and currently produces 600,000 boe/d. Deep-water production is expected to increase to more than 900,000 boe/d by the early 2020s from already discovered, established reservoirs. Three other Shell-operated projects are currently under construction or undergoing pre-production commissioning: Coulomb Phase 2 and Appomattox in the Gulf of Mexico and Malikai in Malaysia. 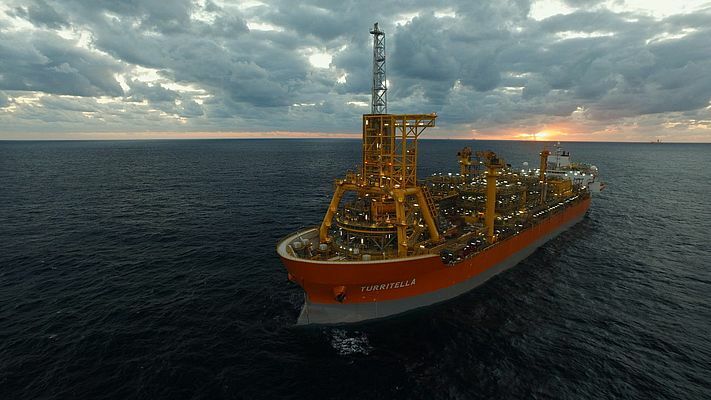 In November 2015, the Turritella FPSO for Stones set sail from Singapore to its final destination in the Gulf of Mexico. The project is located in the Gulf of Mexico’s lower tertiary geologic trend, a new frontier in deep water where Shell achieved first commercial production with Perdido. 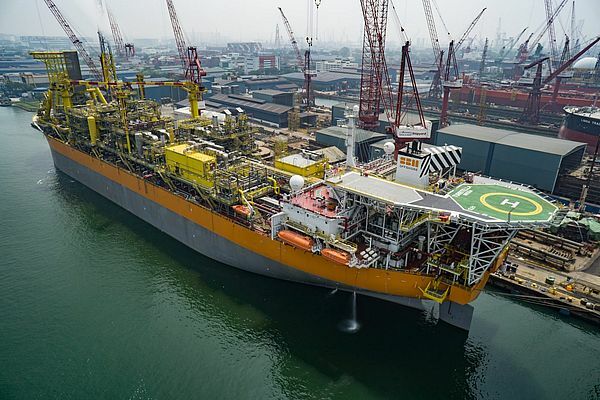 Phase one of the project includes eight subsea production wells tied back to the FPSO. Multiphase seafloor pumping is planned for a later phase to pump oil and gas from the seabed to the vessel, increasing recoverable volumes and production rates. In September 2016, Shell started production at Stones in the US Gulf of Mexico. Stones is expected to produce around 50,000 barrels of oil equivalent per day (boe/d) when fully ramped up at the end of 2017. 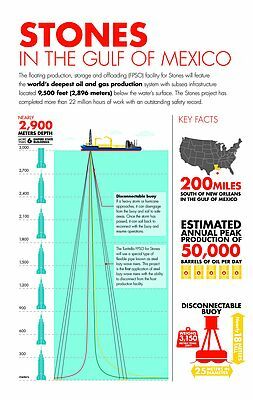 Stones is the world’s deepest and oil and gas project, operating in around 9,500 feet (2,900 meters ) of water in an ultra-deep area of the US Gulf of Mexico. The host facility for the world’s deepest offshore oil and gas project is a floating production, storage and offloading (FPSO) vessel. 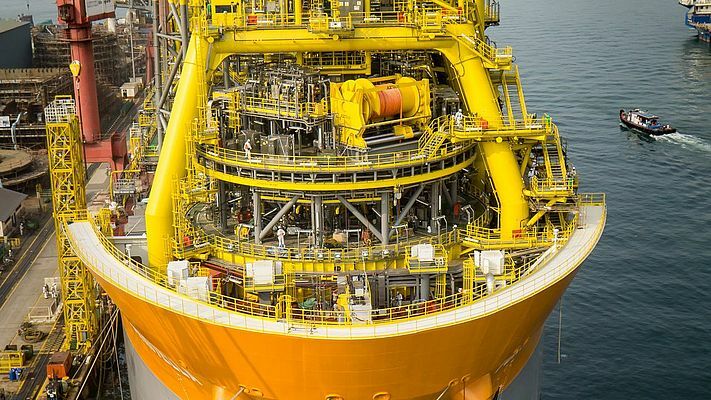 The FPSO connects to subsea infrastructure which produces oil and gas from reservoirs nearly 30,000 feet below sea level. Stones is Shell’s second producing field in the Lower Tertiary geologic frontier in the Gulf of Mexico, following Perdido in 2010. Emerson has reinvented powerhouse control with real-time, BTU/calorific calculation of fuels. Now users can dynamically adjust combustion for the best cost, most stable steam supply and lowest emissions - regardless of fuel source.